An unaltered photocopy of your DD-214 displaying your completion of SF Phase One. 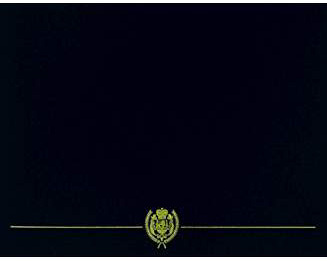 If Phase One is not displayed on your DD-214 you MUST still provide a copy of your DD-214, along with a photocopy of military-issued documentation displaying your completion of this military training course. 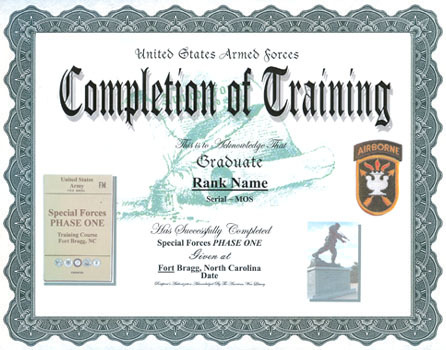 Authorized for completion of the Army Special Forces Phase One Training Course: Advanced Map Reading, Land Navigation (Cross-Country), Patrolling, Survival Air Operations, Special Operations Techniques, Miscellaneous General Subjects, and Small Unit Tactics, provided at the John F. Kennedy Special Warfare Center, Fort Bragg.